Together with high levels of polysaccharides, Reishi contains over 100 triterpenoid compounds (gonoderic and lucidenic acids) found predominantly in the fruiting body. Although Reishi is traditionally made into a tea (hot water extract) these triterpenes are only poorly water soluble but highly soluble in ethanol (alcohol) and MycoNutri Reishi combines hot water (polysaccharide rich) and ethanolic extracts of log-grown (Duan Wood) Ganoderma lucidum to deliver high levels of both polysaccharides and triterpenes. Until 1971, when reishi was first cultivated successfully, this precious fungus was extremely rare. In nature, it grows in densely wooded mountains which are dark and humid, but is found on average growing on the trunks of only two or three out of every ten thousand dead plum, guercus serrata or pasonia trees. Due to its extreme rarity it was said that when one discovered reishi, it had to be kept a secret even from one's closest relatives. In the earliest Chinese herbal pharmacopoeia (the Shen-nong Ben-cao Jing/Shen- Nong's Herbal Classic), which was composed around 200 AD, the first six herbs listed in the "superior" class of medicines are all varieties of Ling Zhi (Ganoderma/Reishi). In terms of traditional Chinese medicine, Ling Zhi tonifies qi, nourishes blood and yin, strengthens the Spleen and promotes qi and body fluids, calms the spirit (shen) and strengthens the Stomach. It is mildly bitter, neutral, balanced, mildly warm and enters the Kidney and Spleen channels. It is used traditionally to treat cough and asthma due to weakness of the body, especially in the elderly and young children, and to treat lack of appetite, insomnia and dizziness due to deficiency. 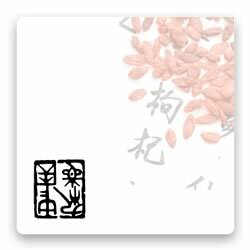 Traditionally Ling Zhi is associated with longevity, health and recuperation, wisdom and happiness. Japanese, Korean and Chinese studies report that reishi has anti-tumour and immune stimulating properties, can help reduce side effects from radio- and chemo- therapy and significantly improve the quality of life in patients with advanced cancer. A survey conducted over 14 years among Japanese mushroom workers in the Nagano Prefecture suggested people who consumed a regular diet of edible medicinal mushrooms suffered a lower death rate (1 in 1000) from cancer compared to others who did not eat mushrooms (1 in 600). Interestingly Reishi produces compounds that are cytotoxic to cancer cells whilst at the same time activating immune response. In vitro studies indicate that certain extracts of Reishi may function as an immuno restorer in mild to moderately immuno suppressed individuals. The effect may be mediated through changes T cell phenotypes or through enhancement of T cell function. Resihi extract has been shown to protect DNA from damage by free radicals and radiation. Reishi has been shown in clinical research to reduce and stabilise blood pressure, blood cholesterol, and blood sugar levels; and promote blood circulation and inhibit platelet aggregation. Reishi has been shown to have significant anti-inflammatory and anti-histamine effects. It is rare that anti-inflammatory agents also function as immune stimulators instead of, more usually, suppressing immune function. Reishi is used by Himalayan guides to counter high altitude sickness. With this product, you earn up to 42 loyalty point(s).